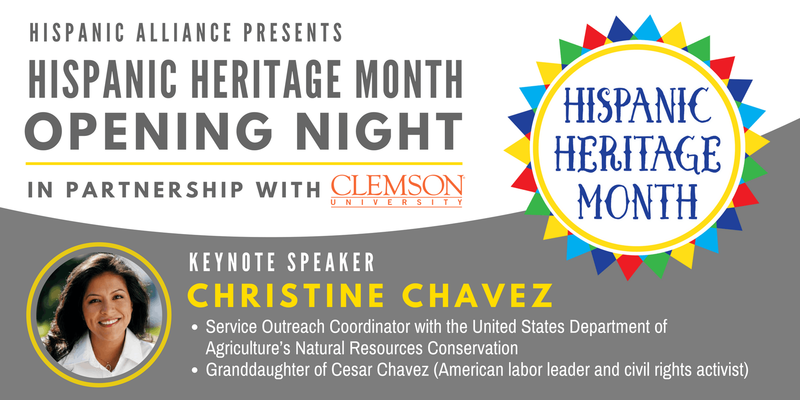 Begin the month-long celebration of Hispanic Heritage with our Opening Night Event featuring speaker Christine Chavez. The granddaughter of, Cesar Chavez—famed labor activist and Presidential Medal of Freedom recipient, Christine is an ambassador of his legacy and has achieved her own footprint as the Farmworker Coordinator for the United States Department of Agriculture. We will also be officially opening the month of celebration by reading a Letter of Proclamation for Hispanic Heritage Month. After the ceremony, enjoy a reception with light refreshments, beer and wine.